Although many interpreters have insisted that Husserl's idea of a pure ego is abstract, and although this is somehow stated by Husserl himself, I believe the aforementioned interpreters have followed just one of Husserl's hints in this regard. Following, they obtained an abstract, in the sense of partial, understanding of Husserl's thought about ego and subjectivity. Indeed, even if it is an "abstract" part of the totality of subjectivity and of the corresponding experience, the pure ego is a real constitutive part of both subjectivity and its self-experience. I will show that a more rightful interpretation of Husserl has to maintain the pure ego as something which must possibly be "sublated", but not “canceled”. Although partial, it is no "wrong" understanding of subjectivity. The very term “sublation [Aufheben]" does easily remind of Hegel. 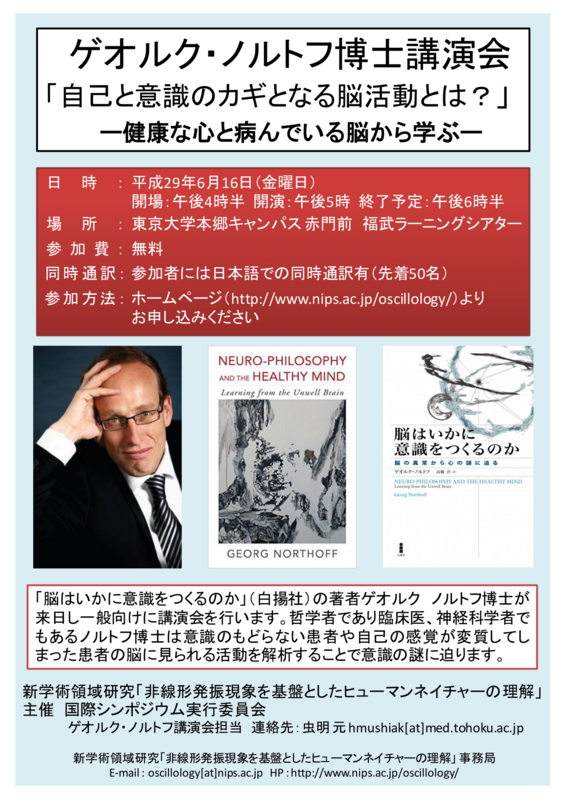 Indeed, in the second part of my talk, I will show that Husserl's ideas about the pure ego can receive a kind of refinement by means of a consideration of what Hegel says in some of his works about the pure ego. I will point out that Hegel does clearly acknowledge the abstractness of an understanding of the subject as pure ego, but he also insists on the extraordinary importance of such an understanding for accessing the realm of the Spirit. The passage through the pure ego, as a matter of fact, enables the understanding of subjectivity in terms of freedom. To understand the pure ego as well as its sublation in an appropriate way is necessary in order to acquire a more adequate, as well as concrete account of the subject, as well as of its relationship with the world. Speculative truth, as the “unity of the concept and reality”, means for Hegel the identity of truth and certainty. Such position could confuse us, because it seems to be conflating two different fields that ought to remain separated. By referring to “certainty”, we may have the impression we are engaged in a mere subjective concept, that is linked to the sphere of knowledge, and thus to the epistemological dimension. On the other hand, “truth” properly seems to embrace the domain of objectivity, indicating the sphere of being, one we could define as ontological dimension. My aim is to show how Hegel’s conception of truth exemplifies the merging of ontology and epistemology. This basically means that the positing and productive capacity of the concept is inseparable from the epistemic movement by which the concept knows and recognizes itself in what it has produced. To reach my goal, I will analyse Hegel’s notions of “truth” and “certainty”, and their connection to subjectivity. In order to highlight the peculiarity of his proposal, I will contrast it with certain contemporary positions that face the truth-certainty matter. I will then concentrate on the specific features that characterize the merging of ontology and epistemology in Hegel’s conception of truth. This will require a presentation of the particular relation between the logical form and its content, and a clarification of the sense in which the logical content constitutes the proper reality of the concept. The conclusion hints at the possibility to read Hegel’s conception of truth, from a practical perspective, as a theory of self-knowledge and self-realization.